Entrance of Perth's COMO The Treasury (photo: Martin Morell). 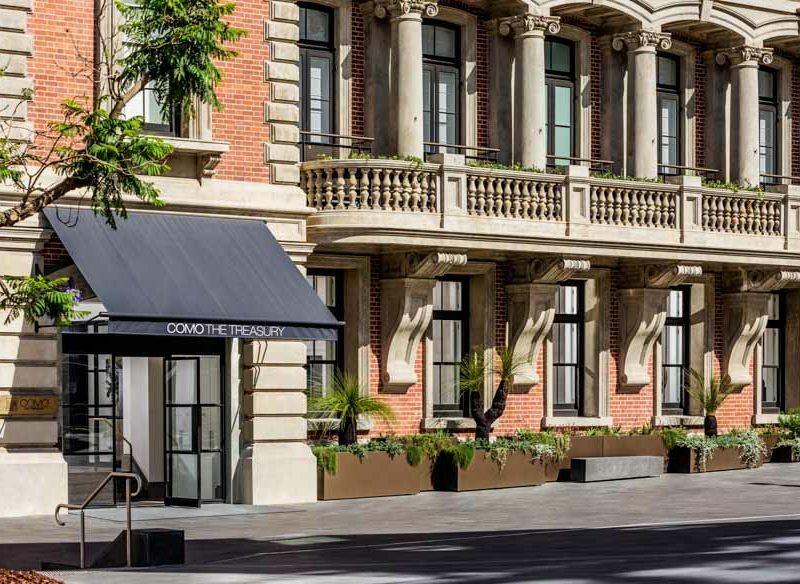 Head concierge Pierre Olivier shares his must-dos while staying at COMO The Treasury in Perth. Dining at this gem in East Perth reminds me of lazy lunches along the Seine in France. 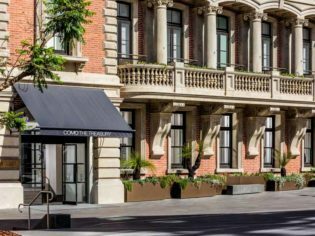 Enjoy French-inspired dishes at Blackbird while people watching! A mere 30-minute walk from the CBD is one of the world’s largest inner-city parks, and one of my favourite spots for concerts, weekend picnics and movies under the stars throughout summer. This rooftop bar is hidden up an alleyway in Northbridge and churns out great burgers and cocktails. The Mechanics Institute staff and playlists are first-class; it’s one of Perth’s best small bars. Enjoy the 1950s vibe at Halford Bar, located in the basement safe room of the 1897 Titles Building, now the State Buildings. Sipping a Halford martini on one of their velvet couches is a post-dinner must-do. With the ever-revolving blackboard of excellent beers, Petition Beer Corner at the State Buildings is my go-to for a drink with friends. Chat to the Cicerone-trained beer servers to get their favourites – you’ll be spoilt for choice.